Plan B Comedy is coming over for holiday leftovers. 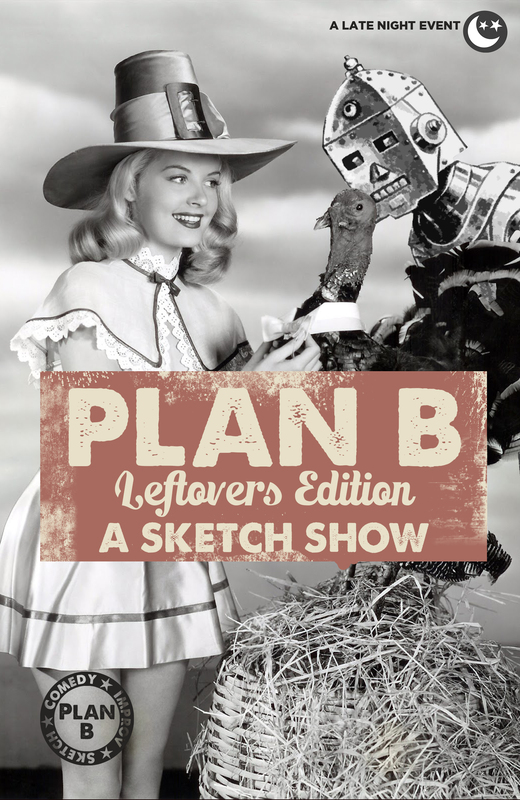 Watch Plan B perform some scripted sketch comedy that’ll cure that holiday food coma and leave you asking for seconds! Come check out their unique brand of quick, smart, fun comedy. Fourth year running strong!